GET THERE FIRST! Precious memories begin here in this well maintained one story home located in Keller ISD. The wonderful, open floor and abundance of natural light evoke a relaxing lifestyle. Entertain family and friends in the spacious family room. The well appointed kitchen features granite surfaces, island, breakfast bar and opens to dining area. Retreat to the private master suite and relax in the garden tub. Large secondary bedrooms and flex room offer a place for everyone. Awesome, covered patio is the perfect place for a barbecue with plenty of room for family fun in the yard. Extremely energy efficient home with post tension reinforced foundation. Conveniently located close to restaurants and shopping. For more information about this property, please contact Diane M. Grove at 817-337-0000 or info@groveteam.com. You can also text 4775394 to 67299. North Texas has already started to experience the winter chill with temperatures in the 30's. Texas is not immune to extreme winter weather. Remember in January 2014 when all 50 states logged below-freezing temperatures on the same day? 1. Install a smart thermostat. You may not always be home when you learn of a coming cold snap or hear that temperatures have plummeted. Using an app on your smartphone, a smart thermostat can allow you to make adjustments to your home’s temperature from anywhere, which means you can always come home to a toasty warm house. 2. Seal windows and doors. Check weather stripping around windows and doors. If you find worn, cracked or inadequate sealing, replace it. Sealing around windows and doors helps prevent heat loss in the winter. 3. Prep your pipes. Below freezing temperatures can cause water pipes to crack or burst. Insulate any water pipes that are exposed, winterize outdoor faucets and turn off the water to your home if you plan to be away for a prolonged period of time. 4. Make sure your heat source measures up. Older, traditional HVAC systems can struggle to keep your home comfortable when temperatures dip below freezing. Consider installing LGRED-enabled HVAC technology to your home. They provide 100 percent heating capacity down to 5 degrees Fahrenheit, and continue to heat reliably even when the outside temperature is as low as -13 degrees. 5. Take care of your roof. Inspect your roof and repair any damaged shingles before winter storms arrive. Be sure gutters are clean to help prevent an ice dam and trim any tree branches that could fall on your home if they break under heavy snow and ice. 6. Tackle inside germs. Extreme temperatures often force us indoors for long periods of times. With the LG PuriCare Air Purifier, you can leave your home feeling fresh and clean while sterilization removes floating viruses and germs. 7. Add insulation. The Insulation Institute estimates 90 percent of American homes have less than the minimum recommended insulation. Check out the U.S. Department of Energy’s home insulation guidelines to see if you need to add more in your home. Having adequate insulation ensures your home efficiently retains heat and keeps the cold out. 8. Gather emergency supplies. Extreme weather could leave you without power or unable to leave your home to get supplies or help. Keep a well-stocked emergency kit, complete with bottled water, non-perishable food, extra blankets, a battery-operated or hand-crank radio (for weather report updates), a battery or solar light source, and a solar charging device that can be used to power your smartphone. 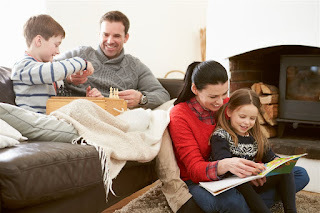 When it comes to keeping your family warm during the winter, it’s a good idea to prepare your Keller home for what is to come! It’s important not to allow the stress of entertaining large groups to become a burden. Below are four tips to help organize your Keller home's kitchen and host a Christmas party with ease, creating a functional space for family and friends to enjoy. For Keller homeowners, cleaning is often the most time-intensive chore in the kitchen, but if designed right, can be a breeze for home entertainers and kids alike. The Delta Foundry Kitchen Faucet offers laser-like precision to contain splatter, meaning less soaking, scrubbing and shirt swapping. Impeccable quality is found in this stunning 1.5 story home resting on 2.3 acres of gated privacy amidst mature trees and impressive landscaping.The abundance of luxury amenities evoke a relaxing lifestyle. Gourmet kitchen boasts custom cabinets, island, Wolf gas cook top and electric convection oven, SubZero refrigerator and freezer. The open floor plan invites entertaining for any occasion from casual to elegant.Escape to the master suite and spa-like bath offering roll-in and steam shower with benches, jacuzzi tub and custom closet. Tornado-safe room, large secondary bedrooms, craft room and media room offer a place for everyone. In the heart of Keller this tranquil estate is mere minutes to cultural and recreational opportunities. For more information about this property, please contact Diane M. Grove at 817-337-0000 or info@groveteam.com. You can also text 4760725 to 67299. Introducing charm and charisma! Classic elegance is yours in this custom home on one acre lot. This beautiful home invites entertaining for any occasion with luxury finish out, three and one quarter inch hand scraped, red oak wood floors and an abundance of natural light. Chef's kitchen complete with double oven, island, granite counters and stainless steel appliances. Retreat to the tranquil master and relax in the spa-like bath. Large secondary bedrooms, office with barn style door and game room offer a place for everyone. Conditioned attic storage, hot water circulating system, spray foam insualtion with 16 SEER HVAC and Argon gas filled windows. Guaranteed to average less than $99 per month to heat and cool! For more information about this property, please contact Diane M. Grove at 817-337-0000 or info@groveteam.com. You can also text 4752882 to 67299. Precious memories begin here! Pride of ownership is apparent from the moment you enter this lovely home located in North Fort Worth minutes from Alliance Town Center. Spacious kitchen features island, level six granite surfaces, butler's pantry and stainless steel appliances. Kitchen and breakfast rooms are open to large family room offering a wall of windows and the warmth of a fireplace. Retreat to the private master suite and relax in the garden tub. Large secondary bedrooms, gameroom and media offer a place for everyone. Awesome back yard allows plenty of room for entertaining, 8 foot fence and storage shed. This one won't last long! For more information about this property, please contact Diane M. Grove at 817-337-0000 or info@groveteam.com. You can also text 4752080 to 67299. As temperatures drop, you and your family will be spending more time living indoors — working, playing, relaxing and staying warm. More time indoors means it's more important to keep your Keller home fresh by staying ahead of the continual buildup of dirt, dust and allergens. Plus, taking a few simple steps to prepare your home for winter weather will ensure your home is comfortable and efficient, too. Tackle these key areas now so your home will feel fresh and cozy throughout the winter. A full vacuum bag, clogged filter or broken belt can hinder your vacuum’s effectiveness, leaving dirt, dust and allergens behind. Replacing your vacuum bags every 1-2 months, filters every 3-6 months and belts once per year is recommended to help your vacuum achieve peak performance. Even more, a Filtrete HEPA vacuum filter will help trap particles 75 times smaller than a human hair, including 99.97 percent of dust mite debris, animal dander, molds and pollen. Even if your vacuum has a washable filter, you should know that repeated washing can cause the filter to break down over time. Use replaceable Vacuum Filters instead for the best way to help capture indoor air pollutants like allergens, dust and pet dander. With the heater on, be sure to clear the area around your HVAC unit to make sure there is nothing blocking the flow of air. Next, remember to swap out that filter for maximum effectiveness. Filtrete Healthy Living Air Filters help capture dust, bacteria, viruses and allergens from the air for a cleaner, fresher home environment. Filtrete recommends changing your filter at least every 90 days. Set a reminder in your calendar or on your phone to help you remember. Increasing the humidity in your home during the cooler months adds moisture to your air and living space. This raises the “heat index,” making 68 degrees feel more like 76 degrees. If your house has low humidity, you may notice chapped lips, dry skin or a dry sore throat. Be sure to maintain a relative humidity in the home between 20 to 40 percent. As the temperature outside drops, lower this percentage so condensation does not form on the windows. Tackling each of these simple projects will add up to help you take on winter with a fresh, cozy home you and your family can enjoy. The holiday season and guests go together like twinkling lights and fir trees, or peppermint and chocolate. However, while you might be eager to welcome family and friends to your Keller home, you’ll probably be less excited to receive a visit from another all-too-common type of holiday “guest” — pests. Pesky insects invade houses through a number of routes during the holidays. Indian Meal Moths can ride in with grains you purchased to make baked goods. Merchant Grain Beetles, despite their name, can take up residence in cake mixes and boxes of pasta. Spiders and other insects can hitch a ride indoors on Christmas trees. Boxes of decorations that were stored in attics, garages or outbuildings during the rest of the year can yield up a variety of insects — and even rodents — when you bring them inside for the holidays. Holiday decorations evoke the spirit of the season, and decorating the house is a fun tradition for many families. Take steps to ensure that when you deck the halls, your decorations are pest-free. Greenery like trees, wreaths and garlands can harbor spiders, mites, moths and other pests, as well as their eggs. Holly boughs, pine branches, pine cones and other natural items commonly used in holiday DIY projects may also host insects. Before bringing anything indoors, give it a good shake outside. Then, inspect items for pests or eggs that may be hiding in branches, or on leaves and needles. These steps will help ensure you don’t bring anything into the house with natural decorations. Decorations you reuse — and store from year to year in the attic, garage or outbuildings — can also become infested. 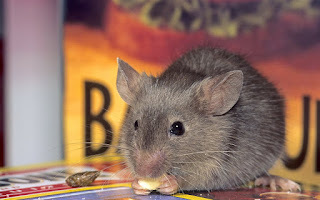 Insects and rodents can find their way into storage areas and boxes throughout the year, so when you bring decorations out of storage, unpack boxes outdoors first. Check for pests like mice. Rodent droppings and gnaw marks — especially on light strands — are evidence of mice. Discard any decorations that appear to have been chewed on, especially electrical items. At the end of the year, give yourself a head-start on a pest-free holiday next year by storing decorations properly. Use sturdy, hard plastic containers with secure lids to store decorations in the garage, basement, attic or outbuildings. This will help ensure rodents and insects can’t get into the decorations throughout the year. Cookies, gingerbread houses and even fruit cake — many families love the tradition of holiday baking. However, nothing spoils holiday baking plans faster than finding bugs in a box of flour. Beetles, ants, earwigs, weevils, pillbugs, moths and a variety of other critters can get into stored food and infest an area in a short amount of time. Flour, dried fruit, nuts, chocolate, grains and other baking items are at risk. Did you know that most pantry pests ride home in items like paper grocery bags, cardboard or plastic bags? When you shop for groceries, inspect the packaging of all items before putting them in your cart. If a package is open or shows even slight signs of damage, don’t buy it. Promptly recycle any grocery bags you bring home, or — even better — use your own washable cloth grocery bag to carry items. You’ll not only have peace of mind knowing that no pests are riding home in shopping bags, you’ll also be doing something good for the environment! Before baking season begins, go through your pantry and cupboards to visually check for signs of pests. Sift through powdered ingredients to ensure they haven’t become infested while in storage. Check expiration dates and throw away anything that’s been stored too long. When you bring new ingredients home, store them securely in plastic or glass containers with tight-fitting lids. Clean up spills and crumbs on countertops, tables, floors and shelves right away, and don’t let trash build up in the kitchen trash container. Dispose of garbage regularly in sealed containers outdoors. From time to time throughout the year, empty cupboards and the pantry, and clean shelves with soap and water. Check around your kitchen and pantry for any cracks or holes where pests could get in. Seal openings around stovepipes and water pipes. Eliminate sources of moisture, like leaking pipes or clogged drains. If you catch pests early, you may be able to prevent an infestation. But if an infestation has taken firm root in your Keller home, consult a licensed pest professional to inspect and treat the problem. As sweater season knocks on the door, it’s time to prepare for the brisk temperatures ahead. This winter, keep your Keller home, health and well-being top of mind with these simple tips to avoid cold weather woes. Install plexiglass panels to keep the cold weather out, allowing you to host friends and family, protect your furniture from snowfall and minimize spring cleaning. Once winter is over, simply pack up the panels and store them for next season. For those who splurged on flooring, apply a protective finish, such as a water sealer or stain, to ensure excess moisture does not seep through the wood. Oftentimes, frozen pipes can burst throughout the winter, or cause leaks as they begin to thaw in the spring. 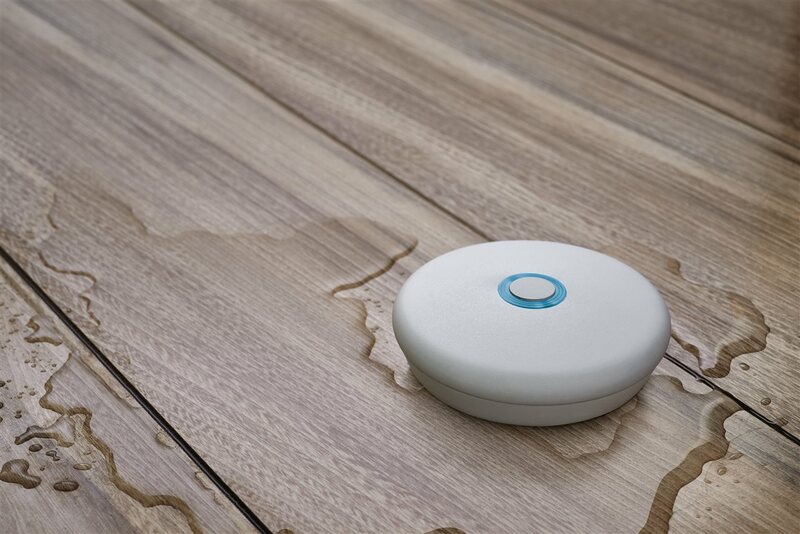 Keep your home safe from leaks with leak detectors devices that identify leaks quickly and alert Keller homeowners at the onset. Simply place the leak detector near water heaters, appliances, sinks or toilets to detect drips or pooling. For added convenience, connect the device to your cell phone to receive alerts in real time. To warm your home without drastically increasing the gas bill, simply reverse the ceiling fan direction. During the summer months, ceiling fans push air down, naturally lending a cooling effect to those below. By reversing the ceiling fan upward, the cooler air is redirected, keeping you and your family warm beneath. To battle dreary days, stock up on warm essentials, such as flannel bedding, down throw blankets and plush towels. Outfit the common areas with warm fabrics and decorative patterns to keep your home cozy and welcoming during the winter. Finally, consider purchasing comfortable rugs and mats to keep your toes warm on tile and wood floors. Great Beginnings!This adorable one story home located in Keller ISD features a wonderful open floor plan perfect for entertaining.The well appointed kitchen offers an enlarged pantry, breakfast bar and dining area. Amazing living area features brick fireplace and wall of windows allowing for an abundance of natural light. Retreat to the master for some private time and soak in the garden tub. Flex room can be used as a study or second living area and large secondary bedrooms provide a place for everyone. Enjoy a barbecue on the extended covered patio with plenty of space for outdoor family fun. Room for a fridge in the laundry room, generous storage and freshly painted! Kitchen sink will be refinished prior to closing. For more information about this property, please contact Diane M. Grove at 817-337-0000 or info@groveteam.com. You can also text 4712378 to 67299. 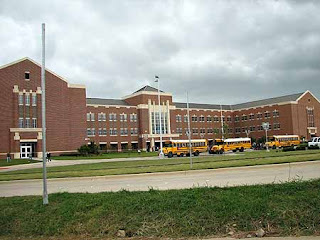 Education: As we’ve stated, Keller ISD is one of the most highly regarded school districts in Dallas / Fort Worth. One of the most important decisions on where to move is the quality of education provided to your children. Location: Live within driving distance to downtown Fort Worth, Dallas, and Arlington. See concerts, plays, festivals, and sporting events like the Cowboys, Rangers, and Mavericks. Still, you can return home to a quiet neighborhood, and enjoy nights out on the patio or by the pool. You can even relax by the fire pit. Safety: Neighborhood Scout lists Keller as safer than 80% of US cities. It is a great place to raise a family without worrying about high crime rates. Your chances of being a victim of a crime are considerably lower than the average Texas city. The safety of our children is a top priority for all parents. We want them to feel safe, as well as to maintain peace of mind for ourselves. 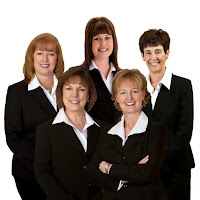 Grove Team: Work with the #1 Keller Real Estate Agency. 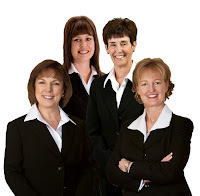 We have great experience finding the dream home for prospective home buyers. Our goal is to help you find a great home for you and your family, and one in which you can enroll your children in the excellent Keller ISD. Call 817-337-0000 to discuss buying the Keller home of your dreams! Today, people are more focused on health and wellness than ever before. You know this because you are constantly flooded with advice on what to eat, how (and how much) to exercise, and what to ask your doctors. All of these things are important but what about the vital role the home plays in your healthy lifestyle? 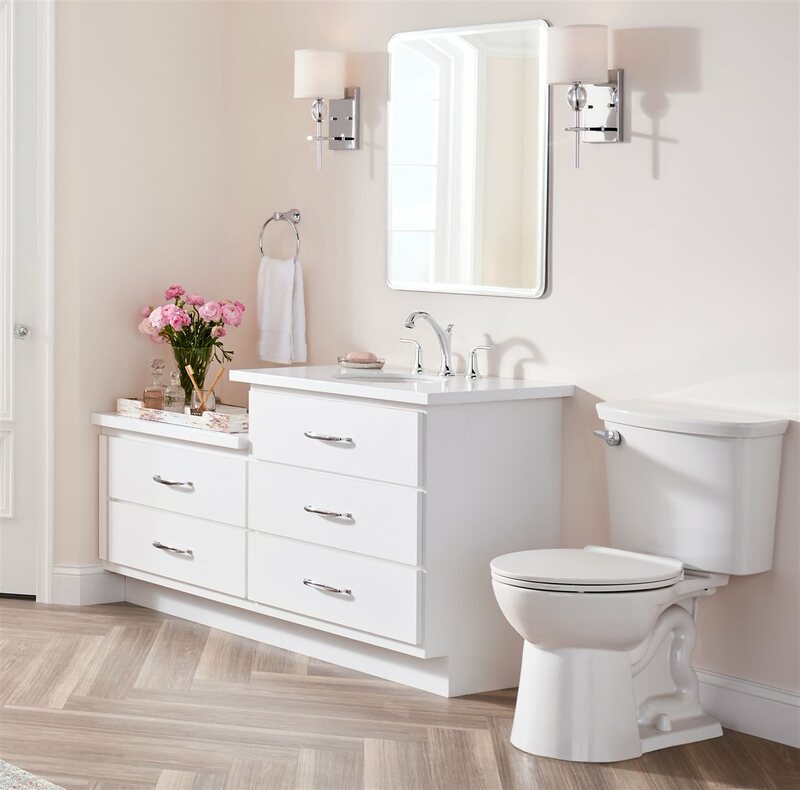 As you prepare for another season of indoor living, it’s time to ask: how can I improve the functionality, efficiency and health of my Keller home? A healthy, safe and comfortable home is essential for those you love. When winter weather keeps you indoors, it's even more important. Tackle a few home-health tips now and your family and guests will be comfortable now and any time of year. Review and handle these must-do’s, happy home style, today! Shut your exterior faucets off before the winter. Check the batteries in your smoke detectors each month. Clean the coils under your refrigerator. Make sure your attic, bathroom and kitchen fans are in working order. These maintenance tasks are easy to tackle. Once done, they will help reduce dirt on your floors and decrease any future mold risk. Did you know indoor air can be five times dirtier than outdoor air? Did you know it can include respiratory irritants and common allergens like mold spores, fungus, pollen, mites and pet dander? Fortunately, these unappealing airborne invaders can be removed continuously by your home air filter. All you need to do is change the filter regularly, about every one to three months depending on your system. The problem — research shows up to 58 percent of us forget to do this regularly or simply don’t! A clean home is a happy, comfortable place everyone deserves but you don’t need to do it all by yourself. Encourage your entire family to work together instead. Children of all ages can help out with chores matched to their skill level. Set family rules that maximize home care and minimize cleaning chores. For example: no food outside of the kitchen, picking up towels and wiping down surfaces after a shower and removing shoes upon entering from outdoors. Your home is your sanctuary and it should feel that way all the time. Apply the tips above today, and your home will be a happier, healthier place in no time. Call 817-337-0000 for to discuss buying or selling your Keller home. As summer gives way to changing colors and colder nights, now is an ideal time to tackle the necessary home maintenance projects that get put off during those sun-filled months – especially when it comes to one of the most protective and necessary aspects of any Keller home, the roof. Cold weather can aggravate a roof and quickly turn minor defects into costly repair bills; in fact, the latest “Cost vs. Value” report from Remodeling Magazine estimates the average roofing replacement cost at over $20,000. Be sure to check for any gaps around gutters, skylights and roofing vents then utilize the correct caulking, patching and sealants. The easy act of sealing these areas can make a big difference in keeping out moisture and reducing heating costs – and many sealants are especially designed to adhere directly onto exterior surfaces. Even the tiniest cracks and gaps can allow moisture to enter, not to mention rodents, squirrels and other unwelcome varmints. Waiting too late to call in a certified professional can lead to much bigger issues. For example, squirrels quickly reproduce and can potentially gnaw on electrical wiring or crawl into difficult-to-reach wall spaces, making extraction a nightmare. It’s a wise move to seek out a reputable roofing specialist, especially when it involves roof damage from weather or critters, or both. The roof is no place to cut corners, and no matter the season, even seemingly minor roofing issues can put your Keller home and valuables at risk. Precious memories begin here in this beautiful one story, three bedroom, two bath home with office located in Keller ISD. The open concept and abundance of natural light evoke a relaxing lifestyle. Spacious kitchen features island, breakfast bar and large dining area. 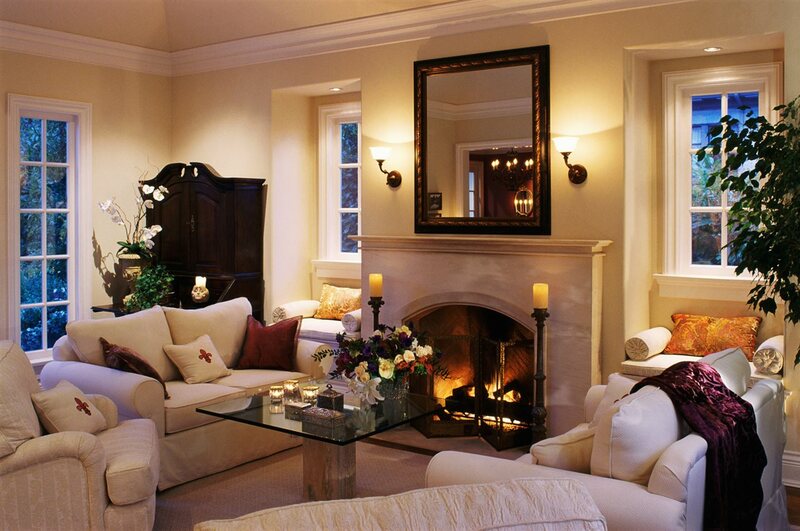 Entertain family and friends in the sizable family room offering a wall of windows and the warmth of a fireplace. Retreat to the master suite for some private time and relax in the garden tub. Large secondary bedrooms, awesome yard and covered patio, intercom system, easy access to shopping and highways complete this amazing package. No survey available. For more information about this property, please contact Diane M. Grove at 817-337-0000 or info@groveteam.com. You can also text 4638909 to 67299. IN SEARCH OF EXCELLENCE? Attention to detail and luxury finish out can be found in every room of this 4 bed, 3 bath custom built home on one acre lot offering three and one quarter inch hand scraped, red oak floors, custom cabinetry, built-ins and extensive crown molding. Chef's kitchen boasts double oven, island, granite and stainless appliances. Open design and abundance of natural light evoke a relaxing lifestyle. Formal dining, master retreat with sitting area, large secondary bedrms, study and game room offer a place for everyone. Conditioned attic storage, hot water circulating system, 16 SEER 2 speed HVAC and Argon gas filled windows. Energy pkg guaranteed to average less than $99 per mo to heat and cool! For more information about this property, please contact Diane M. Grove at 817-337-0000 or info@groveteam.com. You can also text 4622882 to 67299. Often dubbed “the silent killer,” the gas is colorless and odorless, making it impossible to detect without a CO alarm. According to the Journal of the American Medical Association, CO poisoning is the No. 1 cause of accidental poisoning in the United States and is responsible for an average of 450 deaths each year. CO poisoning is notoriously difficult to diagnose — often until it’s too late. Symptoms mimic those of many other illnesses, and include nausea, headaches, dizziness, weakness, chest pain and vomiting. In more severe poisoning cases, people may experience disorientation or unconsciousness, or suffer long-term neurological disabilities, cardio-respiratory failure or death. Sources of CO may include, but are not limited to, generators, heaters, fireplaces, furnaces, appliances or cooking sources using coal, wood, petroleum products or other fuels emitting CO as a by-product of combustion. Attached garages with doors, ductwork or ventilation shafts connected to a living space also are sources of CO. The National Fire Protection Association recommends installing CO alarms on every level of the home, including the basement, and within 15 feet of all sleeping rooms. These alarms are the first line of defense against CO poisoning. Checking alarms regularly and following manufacturer instructions for alarms and all home equipment play an equally vital role. In case of power outage, never use a generator indoors. Portable electricity generators must be used outside only and should never be used in a garage or in any confined area that can allow CO to collect. When running a generator, be sure to remain 15 to 20 feet away from the outside perimeter of the home and be careful to follow operating instructions closely. Additional areas to consider include the kitchen stove, a frequent source of CO poisoning in the home. Ensure the kitchen vent or exhaust fan is running to limit exposure. For any fuel-burning appliances in the home, make sure to have a professional inspect them regularly to detect any CO leaks. This includes items such as the furnace, oven, fireplace, dryer and water heater. If you have an attached garage, it is extremely important to never leave your car running inside. Even if the garage door is open, CO emissions can leak inside the home. 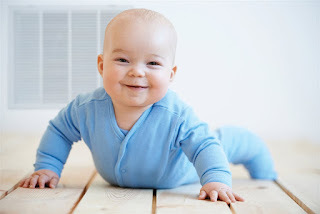 CO alarms should be battery-powered or hardwired with battery backup. To help ensure your family is protected, First Alert offers a variety of alarms to meet all needs, including a table-top alarm with a 10-year sealed battery and digital display to see detected CO levels in parts per million. 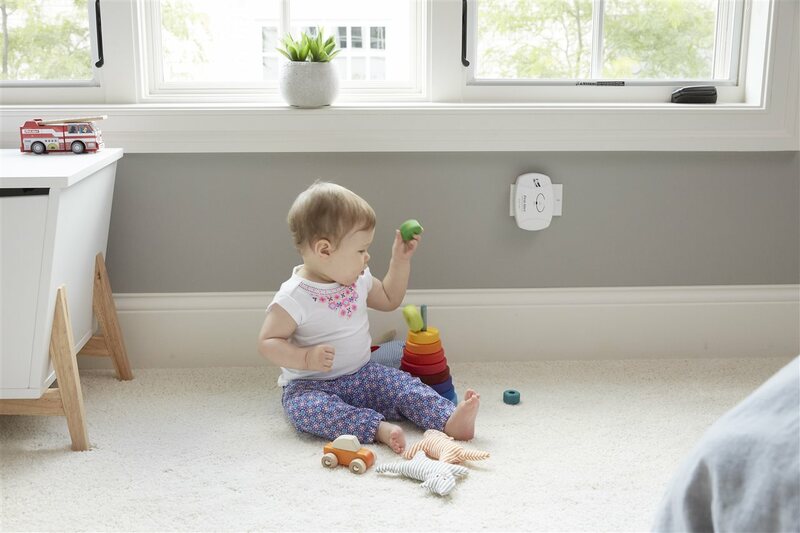 Additional alarm options include plug-in and wall-mount alarms, hardwired alarms with battery backup, and a combination smoke and CO alarm for 2-in-1 protection. In addition to carbon monoxide alarms, fire extinguishers, along with smoke alarms, should be an integral part of a comprehensive safety plan for your Keller home. Most importantly, if your CO alarm sounds, go outside for fresh air immediately and call 911. BRING YOUR INVESTORS! Court ordered estate sale. Being offered As-Is with mandated price. Three bedroom, one and half bath home in convenient location. Features include two living areas with built-ins, private master with half bath, covered front porch and covered rear patio. Detached two car garage with additional covered parking and low maintenance vinyl siding. Close to schools, shopping and highways. For more information about this property, please contact Diane M. Grove at 817-337-0000 or info@groveteam.com. You can also text 4616085 to 67299. Clean contemporary lines are warmed by rustic natural materials in this stunning 4 bedroom, 4.1 bath home located on a quiet cul-de-sac amidst beautiful mature trees. The grand entry draws you into a layout made for entertaining. The 2-story great room with beamed ceiling, stone fireplace, spiral staircase ascending to loft area, dry bar and sliding doors to the rear deck evokes a relaxed lifestyle. The well appointed kitchen opens to large dining area with wood burning fireplace and entrance to patio. Retreat to the private master boasting amazing view of sparkling pool and lavish bath with skylight sure to spoil you. Spacious second master upstairs and large secondary bedrooms complete this awesome package. For more information about this property, please contact Diane M. Grove at 817-337-0000 or info@groveteam.com. You can also text 4612406 to 67299. GET THERE FIRST! This well maintained three bedroom, two bath home boasts wonderful, open floor plan ideal for family gatherings. Spacious, eat-in kitchen offers ample counter space, storage and breakfast bar. Enjoy the abundance of natural light and entertain family and friends in the sizable family and dining rooms. Retreat to the private master suite and relax in the garden tub. Large secondary bedrooms and patio complete this awesome package. Easy access to shopping, restaurants and highways. For more information about this property, please contact Diane M. Grove at 817-337-0000 or info@groveteam.com. You can also text 4580318 to 67299. IN SEARCH OF EXCELLENCE? Attention to detail and luxury finish out can be found in every room of this 4 bed, 3 bath custom built home on one acre lot. Offering three and one quarter inch hand scraped, red oak floors, custom cabinetry, built-ins and extensive crown molding. Chef's kitchen includes double oven, island, granite and stainless appliances. Open design and abundance of natural light evoke a relaxing lifestyle. Master retreat with sitting area, large secondary bedrooms, study, game and media rooms offer a place for everyone. Conditioned attic storage, hot water circulating system, 16 SEER 2 speed HVAC and Argon gas filled windows. Energy package guaranteed to average less than $99 per mo. to heat and cool! For more information about this property, please contact Diane M. Grove at 817-337-0000 or info@groveteam.com. You can also text 4575588 to 67299. Precious memories begin here! This well maintained 5 bedroom, 2.1 bath home located in Keller ISD boasts wonderful, open floor plan with spacious dining and family rooms ideal for family gatherings. Light and bright kitchen features island, granite surfaces and ample storage. Retreat to the private master suite and relax in the garden tub. Large secondary bedrooms and gameroom offer a place for everyone. Awesome, private back yard allows plenty of room for entertaining and relaxing on spectacular covered patio featuring built-in bar. Easy access to highways, shopping, restaurants complete this amazing package. For more information about this property, please contact Diane M. Grove at 817-337-0000 or info@groveteam.com. You can also text 4565567 to 67299. You love entertaining and treating guests to delectable dishes and fun times. Unfortunately, your kitchen layout, appliances and even the faucet are so downright unappealing that the thought of planning and preparing a party menu is equally unpleasant. What do you do when you’re built to entertain, but your Keller home's kitchen is not? Renovate! The kitchen is a favorite room to remodel, and a minor kitchen refresh can return more than 80 percent of your investment at the time of resale, according to Remodeling Magazine’s Cost vs. Value report. But ROI isn’t the top reason people renovate kitchens. According to the 2017 Houzz Kitchen Trends Study, most people who remodel their kitchen do so because they just can’t stand it anymore. So, if you love playing host but don’t like the kitchen that stands in the way of your entertaining, revamping the room is the perfect way to make it more party-friendly. 1. Give yourself some space. If you’ve decided to go all in for your kitchen renovation, and have an older home with a closed-off kitchen, consider opening the space to the home’s main living area. If your home already has an open floor plan, consider ways to tie the kitchen more intimately to the living area, such as continuing one style of flooring through both rooms, or repeating an accent color in the kitchen and adjacent common space. 2. 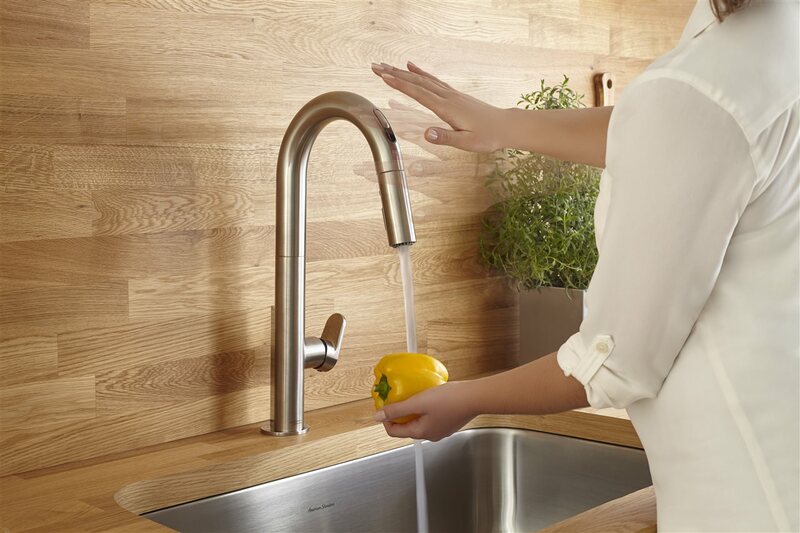 Work smarter with a new faucet. 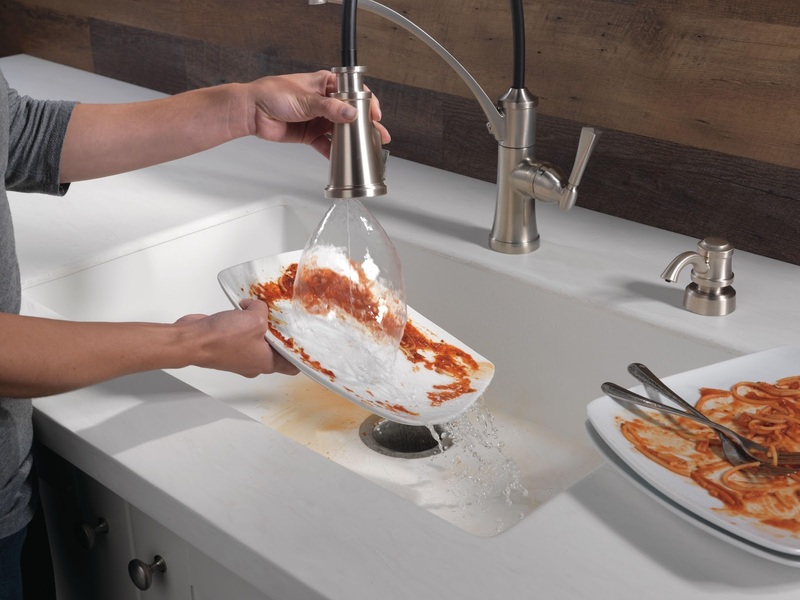 The sink is a key point in the workflow triangle for any kitchen, and the faucet should take center stage in this performance. A contemporary faucet with task-driven spray patterns is a must for entertaining, but wouldn’t an extra pair of hands also be great to have with the flurry of pre-party activities? An easy and quick solution is a hands-free faucet, which allows you to turn water on or off without the need to touch the faucet. This touchless technology makes food prep easier, while also helping to prevent cross-contamination of foods. 3. Upgrade appliances. Depending on your budget, you can find appliances to help with virtually every aspect of entertaining, from dishwashers that entirely eliminate the need to pre-rinse, to refrigerators that help compile your grocery list. Even on a modest budget, you can improve on your current appliances, especially if they are older and less energy efficient. Double stoves are great for cooking a lot of food for large groups of guests, warming drawers keep food warm until ready to serve, and beverage drawers ensure you’ll always have enough refreshments for everyone. 4. Choose cleaning-friendly surfaces. Did you ever wonder why stainless steel sinks continue to be a popular choice in kitchens, regardless of the room’s decor? It’s because stainless steel sinks not only look good, they also retain their beauty longer by resisting stains and scratches. Plus, drop-in and undermount stainless steel sinks from American Standard offer both single and double bowl options for simplifying kitchen tasks. Picking dirt and germ-busting surfaces like stainless steel, stone countertops, ceramic tile, etc., can help make it easier to keep your kitchen clean, leaving you more time for entertaining. 5. Create an island paradise. The standalone island has become a must-have for entertainment-minded homeowners. An island can serve multiple purposes when throwing a party, from providing extra workspace or hosting a second sink, to giving guests a seat closer to the action. You can even choose a multi-level island that will allow you to interact with guests while concealing work areas and sinks from view. If your Keller home's kitchen has been holding you back from blossoming into the host of your dreams, these easy upgrades can help the room better match your personality and entertainment needs. Impeccable quality is found in this stunning 4 bedroom, 5.1 bath home resting on 2.3 acres of gated privacy amidst mature trees and impressive landscaping.The abundance of luxury amenities evoke a relaxing lifestyle. Gourmet kitchen boasts custom cabinets, island, Wolf gas cook top and electric convection oven, SubZero refrigerator and freezer. The open floor plan invites entertaining for any occasion from casual to elegant. Escape to the master suite and spa-like bath offering roll-in and steam shower with benches, jacuzzi tub and custom closet. Tornado-safe room, large secondary bedrooms, craft room and media room offer a place for everyone. In the heart of Keller this tranquil estate is mere minutes to cultural and recreational opportunities. For more information about this property, please contact Diane M. Grove at 817-337-0000 or info@groveteam.com. You can also text 4541138 to 67299. Precious memories begin here in this two story, three bedroom, two and a half bath home located in Keller ISD and under $200,000. The open concept and abundance of natural light evoke a relaxing lifestyle. Spacious kitchen features granite counters, island with butcher block and stainless appliances. Enjoy the soaring, vaulted ceiling while entertaining family and friends in the sizable family room offering wall of windows and brick fireplace. Retreat to the master suite for some private time and relax in the garden tub. Large secondary bedrooms, awesome yard, oversized garage, easy access to shopping and highways complete this amazing package. Updates include appliances, AC, paint and bathroom flooring. For more information about this property, please contact Diane M. Grove at 817-337-0000 or info@groveteam.com. You can also text 4536065 to 67299. Precious memories begin here in this beautiful one story, three bedroom, two bath home located in Keller ISD and under $200,000! The open concept and abundance of natural light evoke a relaxing lifestyle. Experience the joy of cooking in the efficient kitchen offering plenty of space for meal prep with dining area overlooking back yard. Entertain family and friends in the sizable family room featuring brick fireplace and wall of windows. Retreat to the Master suite for private time. Large secondary bedrooms and awesome patio complete this wonderful package. Easy access to shopping & highways. For more information about this property, please contact Diane M. Grove at 817-337-0000 or info@groveteam.com. You can also text 4526660 to 67299.